In many respects, the story of innovation in electronics has been about miniaturization: designers pack more features, functionality and performance into electronics that are smaller, lighter and more power-efficient. 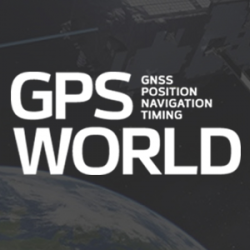 However, this has traditionally been applied only to a limited extent to atomic clocks, which electronic devices employ to maintain correct time if their GPS signal is lost. Atomic clocks have significant limitations in terms of scalability and portability, so until recently the best designers could use were ovenized crystal oscillators (OCXOs), which were smaller, lighter and consumed less power than atomic clocks. However, they were also less accurate and precise. Now, micro-atomic clocks enable addressing an entirely new range of use cases. A miniature atomic clock (MAC) is not the same clock made smaller; it’s a different clock. Timing Quality Measurements. A clock is accurate if its time agrees with a standard such as cesium reference or GPS. A clock is precise if its interval between ticks — its frequency of oscillation — is the same as a reference clock’s interval, even if the reference clock is inaccurate. A stern measure of precision is syntonicity, which is a measure of consistency in the occurrence of ticks within the environment. Radar requires syntonicity. To obtain a clear image of a scanned object, the receiver of the signal bounced off the object needs to know the exact instant the associated pulse was sent from the transmitter. It’s All About SWaP. One challenge of any timing miniaturization is whether the clock’s size, weight and power (SWaP) meet the needs of a given application. 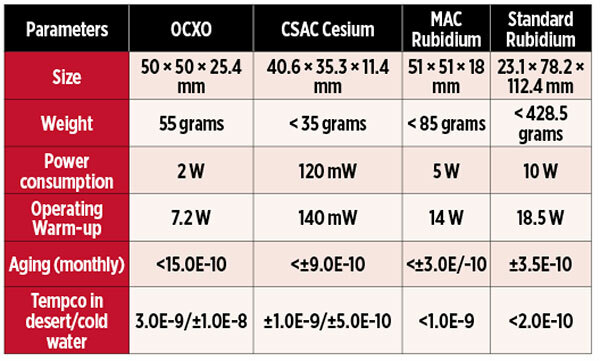 For example, a cesium chip-scale atomic clock (CSAC) is the smallest sized atomic clock in the current market; see the table below. By contrast, the rubidium MAChas the lowest power consumption after the CSAC (that is, 40 times more than CSAC). Before the introduction of the MAC, the standard rubidium clock was the clock with the lowest power consumption and with similar performance. Performance metrics of clock technologies. Benefits of small SWaP values are easily seen. Devices that required an external power source can now operate on batteries, without a heat sink. A person or a drone can now carry devices that were stationary or required a truck. Improvements in SWaP only matters if application requirements for accuracy and precision are also met. What happens if an application’s GPS access is lost? All clocks tend to drift once they no longer reference an external time source. This is known as aging. A key factor that affects aging is temperature. While operating in extreme environments (such as, deserts, high altitudes or under sea), the rate of timing error increases due to temperature variation; the amount of temperature-related error is called tempco. The availability of clocks with tight specifications signifies that designers can now employ accurate and precise timing in many ways and places. However, one must specify, analyze and select the clock carefully to meet the requirements of the application. For example, replacing the OCXO with a standard rubidium clock is typically not an option because the standard rubidium clock does not fit in to the OCXO form factor. Designers may consider replacing an OCXO with a CSAC or MAC if greater portabiity and better timing accuracy and precision are the key requirements. The choice often comes to one between the CSAC’s lower power consumption and weight versus the MAC’s superior aging performance in the event of GPS loss. The difference between the two clocks lies in how gas atoms trapped into resonance by a microwave synthesizer are excited and then interrogated, a concept known as coherent population trapping. Applications suitable for rubidium atomic clocks (MAC) include the following. Cellular Base Stations. 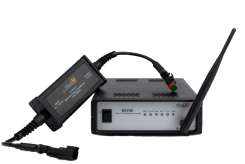 Rubidium atomic clocks can meet the tight timing requirements for 4G-/LTE-base stations up to 24 hours (even longer for 3G and 4G). Moreover, rubidium’s superior aging ensures longer holdover, meaning the network can remain operational for longer even if the sync reference is lost. The MAC’s lower power consumption compared to a standard rubidium clock also contributes to a lower power and heat density overall, potentially reducing the need for external cooling while increasing the electronic reliability and reducing its size. Low tempco is also critical, considering the environments in which these stations often operate. Radar Base Stations. 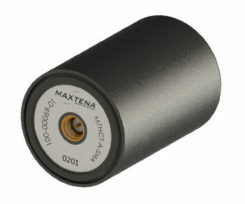 Radars require highly precise synchronization between transmitter and receiver signals. MACs are increasingly replace OCXO in these applications, which also benefit from the technology’s lower power. Applications suitable for CSACs include these. IED Jammers. Low-power consumption is critical in dismounted intelligent electronic devices (IED) jammers, which must be small, light and battery-powered. Yet they must be precise enough to tightly synchronize and allow pre-defined time slots in the signals (known as look windows) to allow friendly communications through. Dismounted Military Radios. Portability and precise synchronization are critical, especially given the higher bandwidth waveforms required to handle encoded video and other data-rich signals. Tactical Unmanned Aerial Vehicles (UAVs). In addition to relying on GPS (or clock holdover) for navigation, unmanned aircraft drones also require precise timing for their encoded data-rich and video communications. They also present challenges in terms of the size, weight and power consumption of payloads. Undersea Seismic Sensing. Differences in time measurements of acoustic pulses across sensor nodes are used to map subterranean formations such as oil deposits. In the absence of GPS under water, precise synchronization and very good aging performance are critical to harvesting reliable data during the duration of a survey deep under the ocean. More innovation lies ahead! Low-powered SWaP-friendly atomic clocks are revolutionizing the world without compromising clock performance, enabling many mission-critical applications. RAMKI RAMAKRISHNAN is director of product line management and business development, Clocks Business Unit, Microsemi Corporation.